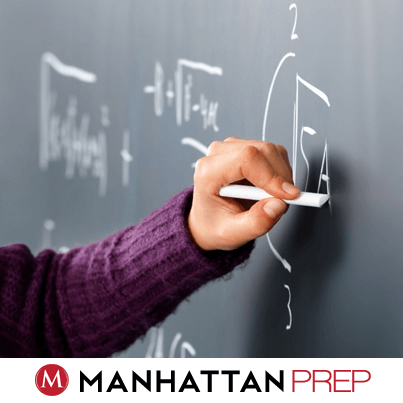 A while back, we talked about the 4 GMAT math strategies that everyone needs to master. Today, I’ve got some additional practice for you with regard to one of those strategies: Testing Cases. * ” If xy + z = x(y + z), which of the following must be true? This question is called a “theory” question: there are just variables, no real numbers, and the answer depends on some characteristic of a category of numbers, not a specific number or set of numbers. Problem solving theory questions also usually ask what must or could be true (or what must not be true). When we have these kinds of questions, we can use theory to solve—but that can get very confusing very quickly. Testing real numbers to “prove” the theory to yourself will make the work easier. Whenever the problem gives you a complicated equation, make your life easier: try to simplify the equation before you do any more work. Very interesting! The y term subtracts completely out of the equation. What is the significance of that piece of info? Nothing absolutely has to be true about the variable y. Glance at your answers. You can cross off (B), (C), and (D) right now! Next, notice something. I stopped at z = xz. I didn’t divide both sides by z. Why? In general, never divide by a variable unless you know that the variable does not equal zero. Dividing by zero is an “illegal” move in algebra—and it will cause you to lose a possible solution to the equation, increasing your chances of answering the problem incorrectly. The best way to finish off this problem is to test possible cases. Notice a couple of things about the answers. First, they give you very specific possibilities to test; you don’t even have to come up with your own numbers to try. Second, answer (A) says that both pieces must be true (“and”) while answer (E) says “or.” Keep that in mind while working through the rest of the problem. Let’s see. z = 0 would make this equation true, so that is one possibility. This shows up in both remaining answers. If x = 0, then the right-hand side would become 0. In that case, z would also have to be 0 in order for the equation to be true. That matches answer (A). If x = 1, then it doesn’t matter what z is; the equation will still be true. That matches answer (E). Wait a second—what’s going on? Both answers can’t be correct. Be careful about how you test cases. The question asks what MUST be true. Go back to the starting point that worked for both answers: z = 0. It’s true that, for example, 0 = (3)(0). Does z always have to equal 0? Can you come up with a case where z does not equal 0 but the equation is still true? Try 2 = (1)(2). In this case, z = 2 and x = 1, and the equation is true. Here’s the key to the “and” vs. “or” language. If z = 0, then the equation is always 0 = 0, but if not, then x must be 1; in that case, the equation is z = z. In other words, either x = 1 OR z = 0. The above reasoning also proves why answer (A) could be true but doesn’t always have to be true. If both variables are 0, then the equation works, but other combinations are also possible, such as z = 2 and x = 1. (1) If you didn’t simplify the original equation, and so didn’t know that y didn’t matter, then you still could’ve tested real numbers to narrow down the answers, but it would’ve taken longer. Whenever possible, simplify the given information to make your work easier. (2) Must Be True problems are usually theory problems. Test some real numbers to help yourself understand the theory and knock out answers. Where possible, use the answer choices to help you decide what to test. (3) Be careful about how you test those cases! On a must be true question, some or all of the wrong answers could be true some of the time; you’ll need to figure out how to test the cases in such a way that you figure out what must be true all the time, not just what could be true. * “In a certain year, the difference between Mary’s and Jim’s annual salaries was twice the difference between Mary’s and Kate’s annual salaries. If Mary’s annual salary was the highest of the 3 people, what was the average (arithmetic mean) annual salary of the 3 people that year? “(1) Jim’s annual salary was $30,000 that year. I’m going to do something I normally never do at this point in an article: I’m going to tell you the correct answer. I’m not going to type the letter, though, so that your eye won’t inadvertently catch it while you’re still working on the problem. The correct answer is the second of the five data sufficiency answer choices. How did you do? Did you pick that one? Or did you pick the trap answer, the third one? Here’s where the C-Trap gets its name: on some questions, using the two statements together will be sufficient to answer the question. The trap is that using just one statement alone will also get you there—so you can’t pick answer (C), which says that neither statement alone works. In the trickiest C-Traps, the two statements look almost the same (as they do in this problem), and the first one doesn’t work. You’re predisposed, then, to assume that the second statement, which seemingly supplies the “same” kind of information, also won’t work. Therefore, you don’t vet the second statement thoroughly enough before dismissing it—and you’ve just fallen into the trap. How can you dig yourself out? First of all, just because two statements look similar, don’t assume that they either both work or both don’t. The test writers are really good at setting traps, so assume nothing. Recently, we talked about how to create Official Guide (OG) problem sets in order to practice for the test. I have one more component to add: track your work and analyze your results to help you prioritize your studies. In the first half of this article, we talked about making problem sets from the roughly 1,500 problems that can be found in the three main OG books. 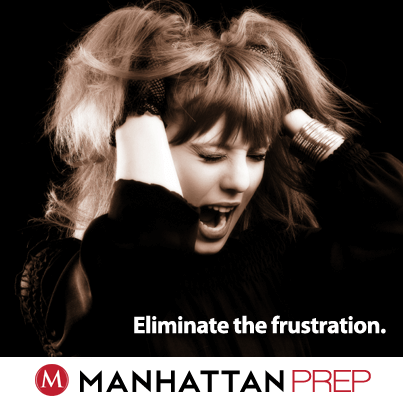 These problems are generally regarded as the gold standard for GMAT study, but how do you keep track of your progress across so many different problems? 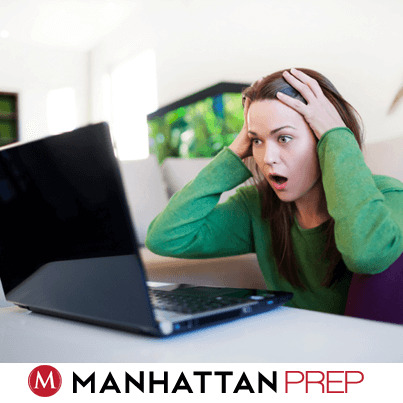 The best tool out there (okay, I’m biased) is our GMAT Navigator program, though you can also build your own tracking tool in Excel, if you prefer. I’ll talk about how to get the most out of Navigator, but I’ll also address what to include if you decide to build your own Excel tracker. Navigator contains entries for every one of the problems in the OG13, Quant Supplement, and Verbal Supplement books. In fact, you can even look up problems from OG12. You can time yourself while you answer the question, input your answer, review written and video solutions, get statistics based on your performance, and more. Everyone can access a free version of Navigator. Students in our courses or guided-self study programs have access to the full version of the program, which includes explanations for hundreds of the problems. 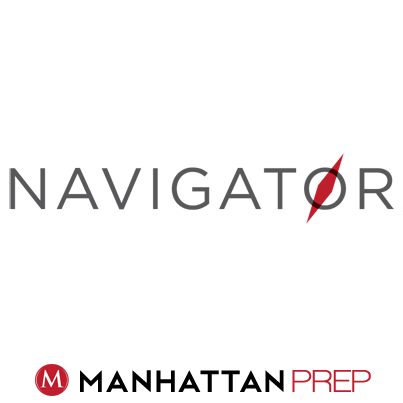 When you sign on to Navigator, you’ll be presented with a quick tutorial showing you what’s included in the program and how to use it. Take about 10 minutes to browse through the instructions and get oriented. When you reach the main page, your first task is to decide whether you want to be in Browse mode or Practice mode. Practice mode is the default mode; you’ll spend most of your time in this mode. You’ll see an entry for the problem along with various tools (more on this below). Browse mode will immediately show you the correct answer and the explanation. You might use this mode after finishing a set of questions, when you want to browse through the answers. Don’t reveal the answers and explanations before you’ve tried the problem yourself! Save Time and Eliminate Frustration on DS: Draw It Out! Some Data Sufficiency questions present you with scenarios: stories that could play out in various complicated ways, depending on the statements. How do you get through these with a minimum of time and fuss? * “During a week-long sale at a car dealership, the most number of cars sold on any one day was 12. If at least 2 cars were sold each day, was the average daily number of cars sold during that week more than 6? “(1) During that week, the second smallest number of cars sold on any one day was 4. First, do you see why I described this as a “scenario” problem? All these different days… and some number of cars sold each day… and then they (I!) 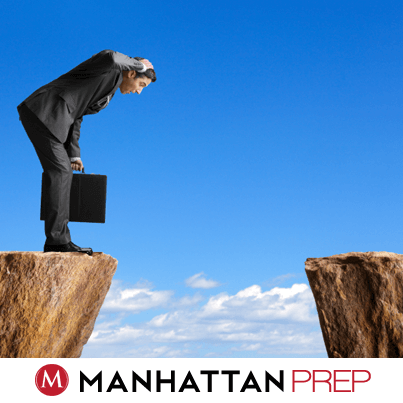 toss in average and median… and to top it all off, the problem asks for a range (more than 6). Sigh. Okay, what do we do with this thing? Because it’s Data Sufficiency, start by establishing the givens. Because it’s a scenario, Draw It Out. Let’s see. The “highest” day was 12, but it doesn’t say which day of the week that was. So how can you draw this out? Neither statement provides information about a specific day of the week, either. Rather, they provide information about the least number of sales and the median number of sales. The use of median is interesting. How do you normally organize numbers when you’re dealing with median? Now, what about that question? It asks not for the average, but whether the average number of daily sales for the week is more than 6. Does that give you any ideas for an approach to take? (1) During that week, the least number of cars sold on any one day was 4. The sum of the numbers is 34. The average is 34 / 7 = a little smaller than 5. You may be able to eyeball that and tell it will be greater than 6. If not, calculate: the sum is 67, so the average is just under 10. Statement (1) is not sufficient because the average might be greater than or less than 6. Cross off answers (A) and (D). (2) During that week, the median number of cars sold was 10. Again, draw out the scenario (using only the second statement this time!). Can you make the average less than 6? Test the smallest numbers you can. The three lowest days could each be 2. Then, the next three days could each be 10. The sum is 6 + 30 + 12 = 48. The average is 48 / 7 = just under 7, but bigger than 6. The numbers cannot be made any smaller—you have to have a minimum of 2 a day. Once you hit the median of 10 in the middle slot, you have to have something greater than or equal to the median for the remaining slots to the right. The smallest possible average is still bigger than 6, so this statement is sufficient to answer the question. The correct answer is (B). Oh, and the OG question is DS #121 from OG13. If you think you’ve got the concept, test yourself on the OG problem. (1) Sometimes, these scenarios are so elaborate that people are paralyzed. Pretend your boss just asked you to figure this out. What would you do? You’d just start drawing out possibilities till you figured it out. (2) On Yes/No DS questions, try to get a Yes answer and a No answer. As soon as you do that, you can label the statement Not Sufficient and move on. (3) After a while, you might have to go back to your boss and say, “Sorry, I can’t figure this out.” (Translation: you might have to give up and guess.) There isn’t a fantastic way to guess on this one, though I probably wouldn’t guess (E). The statements don’t look obviously helpful at first glance… which means probably at least one of them is!